When I first started creating this type of finish, I was using toxic products from a very well known brand of chalk paint. It makes me sick to think about the horrific odors my sister and I inhaled back then and even more sick to think that I occasionally used them around my family without realizing how toxic they were. That paint itself contains chemicals known to cause cancer which is very concerning and their horrifically awful smelling wax is even worse. I The sad part is, I never read their labels. Since then, both Cathy, my mom and I have been diagnosed with cancer. Is it a consequence of working with all those chemicals? We’ll never know, but we’re all doing what it takes to stay alive and there’s no room for exposure to toxic chemicals. I’ve learned so much since then and no longer expose myself or my family to those products. I still love the look of Venetian Bronze, I just to do it now with all natural products like those from American Paint Company. Their paints and finishes are so much easier to work with and create a much superior finish. It’s a no brainer. 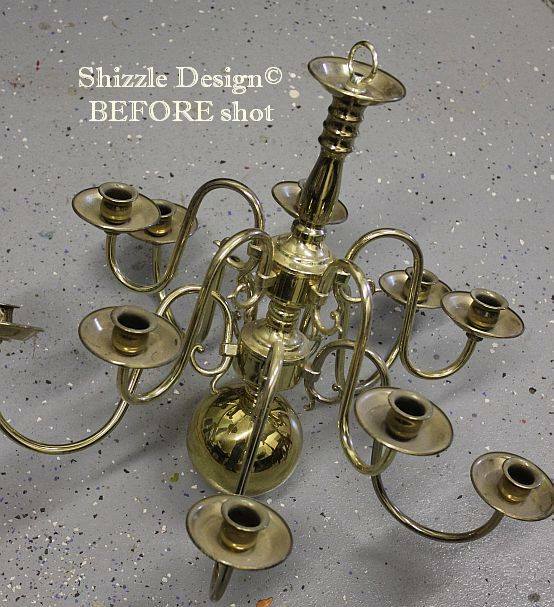 The beautiful European paint finish we create on brass chandeliers is amazing! It looks and feels better than the Venetian bronze you find at local big box stores and the depth of texture is incredible. Can you see it? 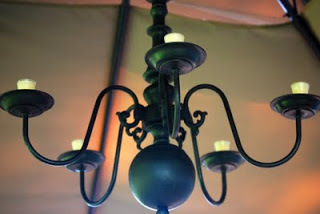 Typically I start out with a brass chandelier like this. Maybe you have one of these laying around your garage! If you do, and have no desire to do this, drop it off to my house before tossing in the trash. We’d love to re-purpose it and save the landfill! Skip the primer! I don’t prime brass or any other type of metal for that matter, EVER. Our paints are special. They are different than others on the market. We’ve been doing this a long time and have tried lots of different methods on a hundred different products. We really do know what works and what doesn’t so trust me when I say… when using our paints on metal, skip the primer. How is that possible you ask? I don’t know the science behind it but I do know they adhere better than a lot of primers I’ve used. If you however want to lean on the side of caution, then a five minute scuff up with a sanding sponge should be more than adequate. but don’t waste your time and money priming the brass. It’s not necessary and you won’t be able to distress back to the metal. This finish can be created using any of our products, but to create this exact look, use American Paint Company. 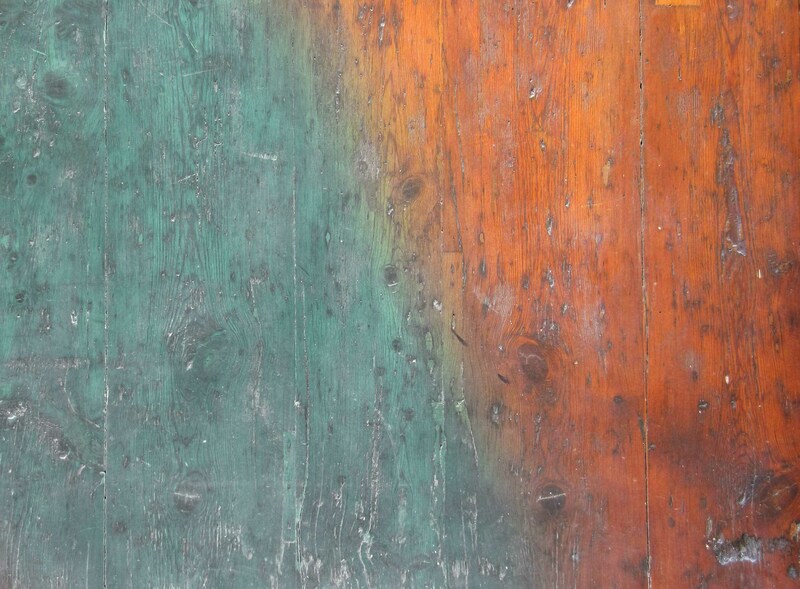 They have just the right in their deeply saturated paints and dark wax to create the perfect Venetian Bronze. To recreate this luxurious finish, start with Gun Powder or Freedom Road and either Espresso or Kona. Kona is a bit more saturated and a touch more warm than Espresso but either will work. It’s more a personal preference of what you like; they’re both gorgeous.! Shizzle Tip – If in doubt about a color or finish, practice on an old piece of scrap wood or an inconspicuous area of your piece. Slap on one of the colors in a sloppy, random way covering a 75% of the brass. Intentionally leave parts of the brass exposed and then catch that when you go over it with the 2nd color. The key is, don’t overwork it. Let an area dry before you start adding more paint or it could pull off the first coat. It’s your choice which color you start out with ~ continue painting until everything is has nice layers of coverage, then let everything dry completely. It will dry fast and if you set it out in the sun, it will be dry in a heartbeat. At this point, grab a damp rag and start wet distressing. Never wet distressed? No worries, it’s easy. Simple get a rag wet and ring out like you would if you were going to wash the kitchen counter. Gently start rubbing the surface of your chandelier. The key is doing it with a light touch; no need to muscle it. The wet distressing gently softens the paint so you can blend and meld the colors almost molding them into an incredible finish. It’s not something you have to put much thought into, it just happens as you’re gently rubbing over it. The one thing I would say though is, don’t over muscle it or you could take off more paint than you wanted. If you do end up removing more paint than you wanted, it’s no biggy. Simply take a little paint and dab or feather it into that area. It only takes a second and I for one, usually just use my finger to do touch ups like that. Seriously, don’t overthink it, this is a super easy finish to create. I personally like exposing tiny bits of the brass. That’s the beauty of all this. We teach that in all our workshops. Be your own artist. Create your own masterpiece. Everyone has different taste and a different touch and that’s what makes it so cool. Do what YOU like! The raw paint will look dull and chalky so don’t freak out, it always looks like that before it’s sealed. What you’re looking for here is coverage. This project isn’t one where you want a thin wash of color. When you paint on metal, go for good coverage. Once you’re happy with it, seal everything with American Paint Company’s Dark Wax. It’s super quick and easy to apply the wax using a good wax brush. Ours of course are my favorite. I’m fussy about brushes and are are the best! Just sayin! Anyway… I tend to gently scrub the wax into the paint. You’ll see a dramatic difference as soon as you start to apply it. Tap your brush into the wax, dab off any excess then start waxing. Copper and Pewter metallic mica powders also look fabulous when pounced into the wet wax which adds another cool layer of dimension. Buff it immediately using a lint free hemp rag for best results. You can also use an old t-shirt, but these rags are fantastic. We have a steel gazebo on our deck, not the portable easy-up type, but the stationary type you bolt down creating a permanent structure. These gazebos usually have a metal piece hanging from the center that you can hang a light fixture from which is perfect for a candelier! How gorgeous is this? With our long harsh winters, Michiganders do everything in our power to spend as much of our time as possible outdoors during our beautiful summers. I really love the way these look outdoors ~ they really finish off the look and offer a lot of functionality to an outdoor space. Oh yeah, did I mention I add candles to them? I strip out all the wires and replace the light bulbs with candles. This particular candelier sold within minutes of putting it on the market so I had to make another one just for us. Maybe it’s just me, but I think they’re so pretty! The candelier can be used indoors or outdoors. This also looks great finished in a vintage white patina. Can you just imagine how beautiful these would look if you hung several of them under a large white tent for an outdoor garden wedding? Order any of our products on our Online Shizzle Shop or stop in and stock up at one of our West Michigan locations open 7 days a week. Our wide variety of chalk and clay based paints, supplies and finishes are available at these locations click: here. Thanx for stopping by! A hui hou!